Hurray! 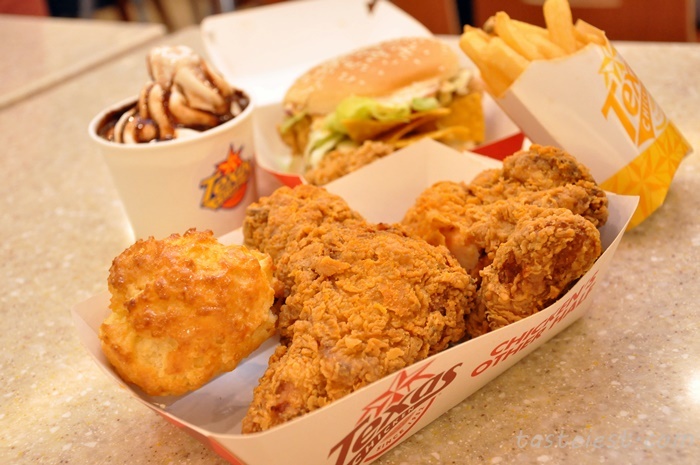 I am a serious fried chicken lover and so excited that Texas Chicken finally landed in Penang. 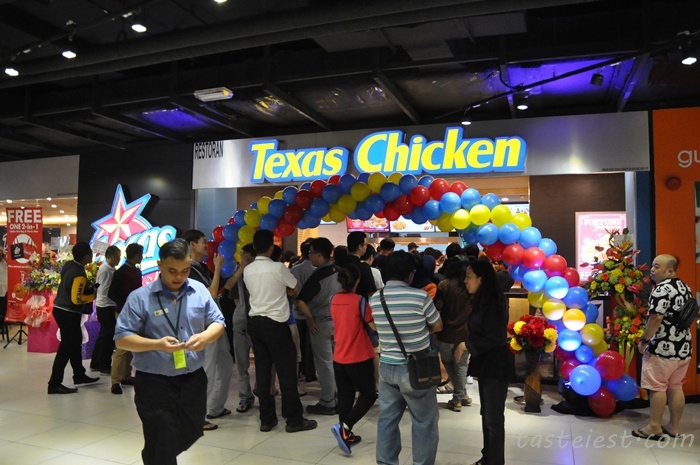 Located at the lower ground of 1st Avenue Mall, it was crowded on their grand opening day. 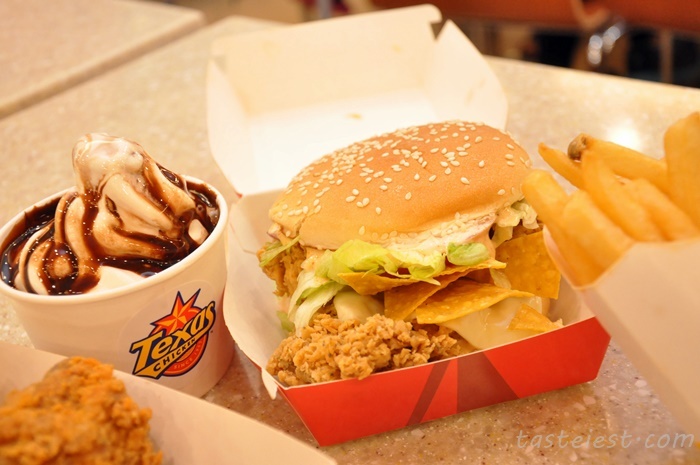 Texas Chicken founded in San Antonio, Texas, USA in 1952. On the menu, other than fried chicken there is option for burger, wrap and various dessert as well. 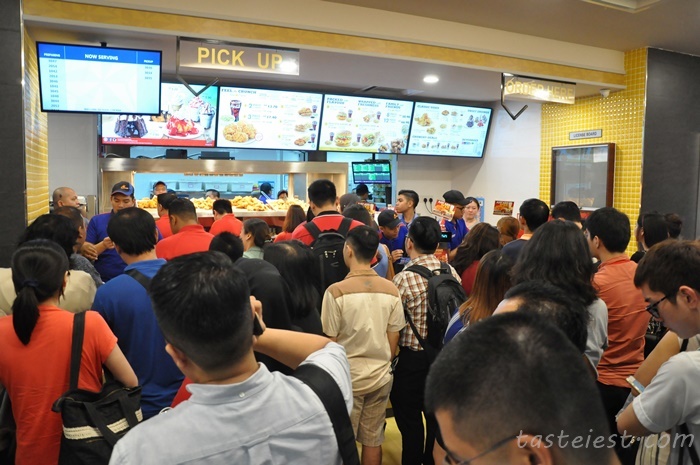 Long queue on opening day, a series of promotion available such as on 21 January Free 3 pcs of tender chicken for first 50 customers only while 22 January Free 1 tender wrap for first 50 customer. Szechuan Flavor Fortune Chicken is special edition available on certain period only, it is coated with a layer of rich flavor yet spicy flour that make the chicken skin crunchy yet flavorful. 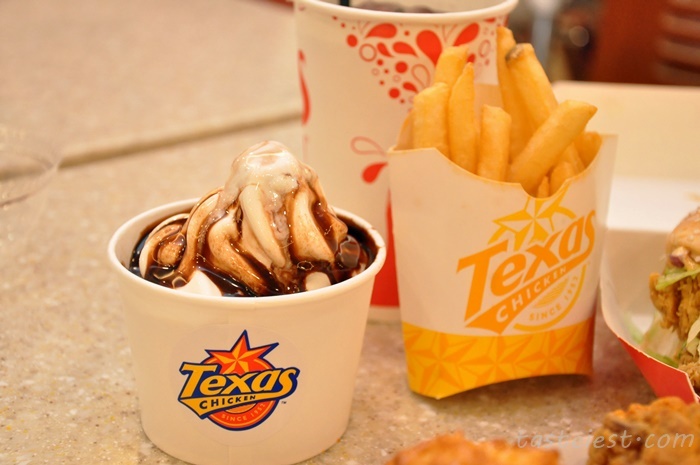 Other than that we had the Honey Butter Biscuits, Mexicana Burger and Chocolate Valcano. 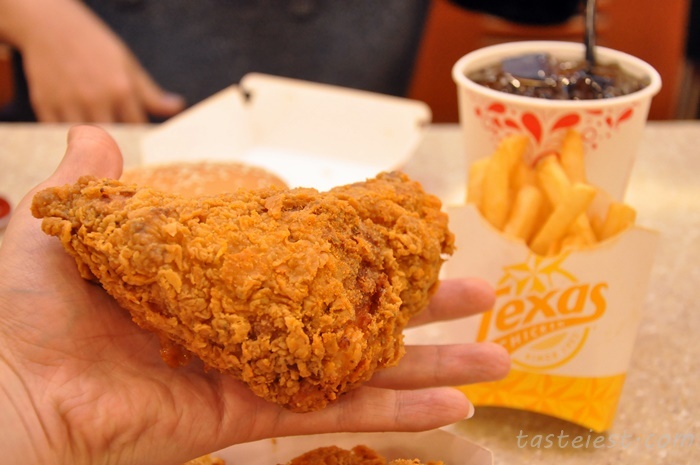 What so special about Texas Chicken compare to competitor are their chicken cut into 8 pieces instead of 9 pieces, that result in bigger piece chicken. 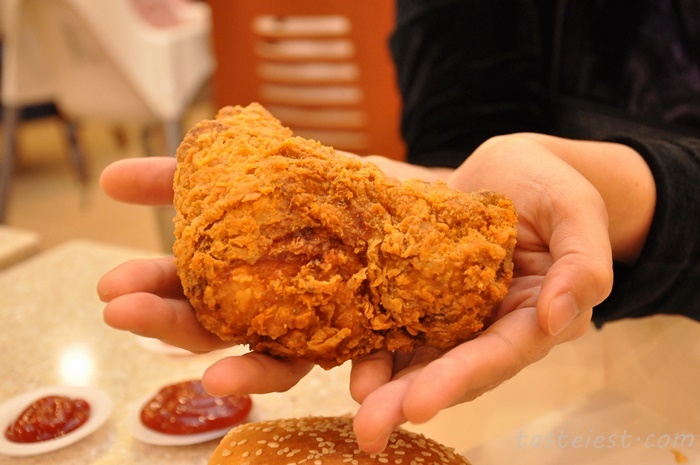 Looking at the chicken that we had, it is so big that fill up two hand. What surprise us is the juiciness of chicken, even though we had chicken breast but it taste so soft and juicy. 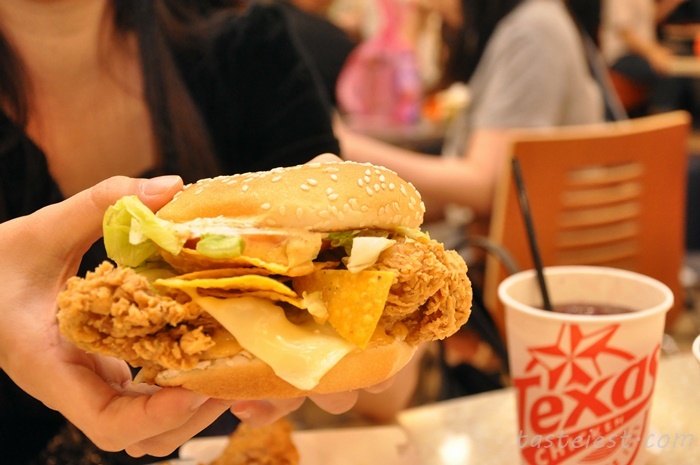 Mexicana Burger are really impressive, first the size that give us a wow factor, second, the big piece of chicken that is even bigger than the burger, third, nacho inside! 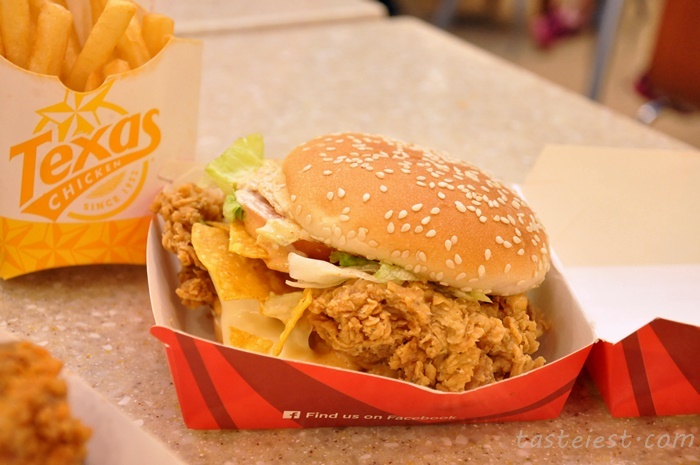 Chicken meat are extremely crunchy, it is so delicious and Nacho added a great bite. Dressing are quite spicy but we love it. Look at the size of burger, it is really big and we are so filling after finish. Chocolate Valcano top with generous amount of vanilla ice cream, bitter taste of Chocolate balanced vanilla ice cream sweetness.